The TTB has issued a Notice of Proposed Rulemaking to allow the use of vintage dating on a wine labeled with a country appellation of origin, such as “American”. The official TTB summary is as follows. The Alcohol and Tobacco Tax and Trade Bureau proposes to amend its wine labeling regulations to allow a vintage date to appear on a wine that is labeled with a country of origin. The proposal would provide greater grape sourcing and wine labeling flexibility to winemakers, both domestic and foreign, while still ensuring that consumers are provided with adequate information as to the identity and quality of the wines they purchase. The Alcohol & Tobacco Tax & Trade Bureau (TTB) has long prohibited wines with a country appellation of origin from including a vintage date. It is one of the many technical blips that we live with in alcohol beverage regulation that doesn’t seem to matter much until it affects your business. Like many other technical rules with somewhat mysterious origins, inertia has largely kept this vintage date prohibition alive. It’s time to seek a reevaluation. There’s a strong case to be made that “American” and other country appellation wines should be permitted to utilize vintage dates. The reasons largely relate to how vintage dates are used in the market. Often, vintage dates are thought of as shorthand for whether wines need aging, are ready to drink, or are over the hill. 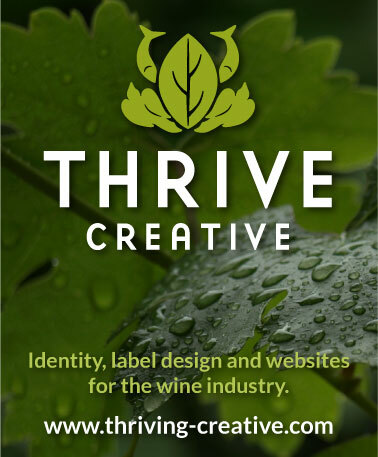 They also promote product transparency and lot identification, shelf management tools that protect producers and allow consumers to more clearly identify wines they like. In addition, allowing vintage dating for American appellation wines would encourage the further development of wine industries in nontraditional winemaking states that have occasional need for out-of-state fruit. There are few, if any, policy justifications for TTB’s restriction against country appellation vintage dating. As was stated eloquently in comments to TTB several years ago, “[w]ith the exception of the luxury-priced wine market where a particular vintage is often celebrated for its uniqueness, nearly all other wine consumers, both domestically and abroad, have specific style and quality expectations that are consistent from purchase to purchase.” Change to Vintage Date Requirements, 71 Fed. Reg. 25748, 25750 (May 2, 2006). Likewise, the vintage date restriction often has unintended consequences. Some countries restrict use of varietal labeling except in instances where a wine bears a country appellation. This means that many foreign wineries selling in the U.S. are forced to choose between vintage labeling and varietal labeling. Under the current regulations then, foreign wineries are being punished for the practices of their domestic regulators. Prohibiting vintage dating for country appellation wines can also carry a false connation. It can give the misimpression of product uniformity from year-to-year—that a wine is in a “house” style produced from several vintages—when that is not in fact the case. Similarly, the restriction can be misleading in the way it creates consumer confusion. If a particular varietal wine is ordinarily a vintage product, consumers may not understand why the same varietal wine, produced by the same winery, is suddenly non-vintage. Simply put, the prohibition on vintage dating can unfairly mark a wine as inferior or unfamiliar. WineAmerica is encouraged to see that the TTB has proposed this rulemaking and will be submitting comments in support of the change. We encourage our individual members to do the same. The TTB is seeking public comments on the proposal from today until January 3. To view the full notice and submit comments follow the link below.